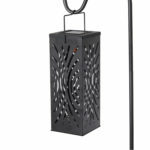 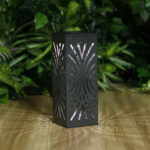 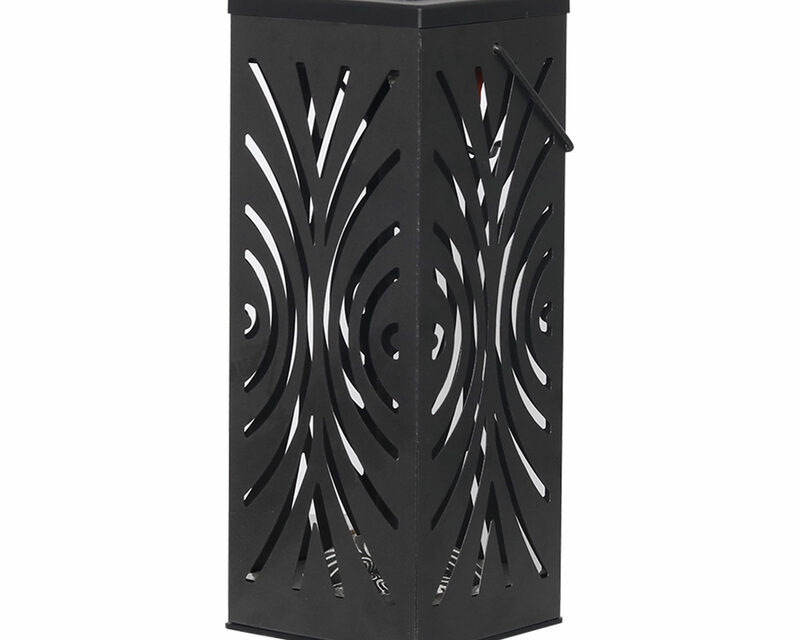 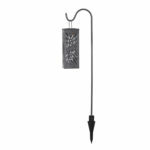 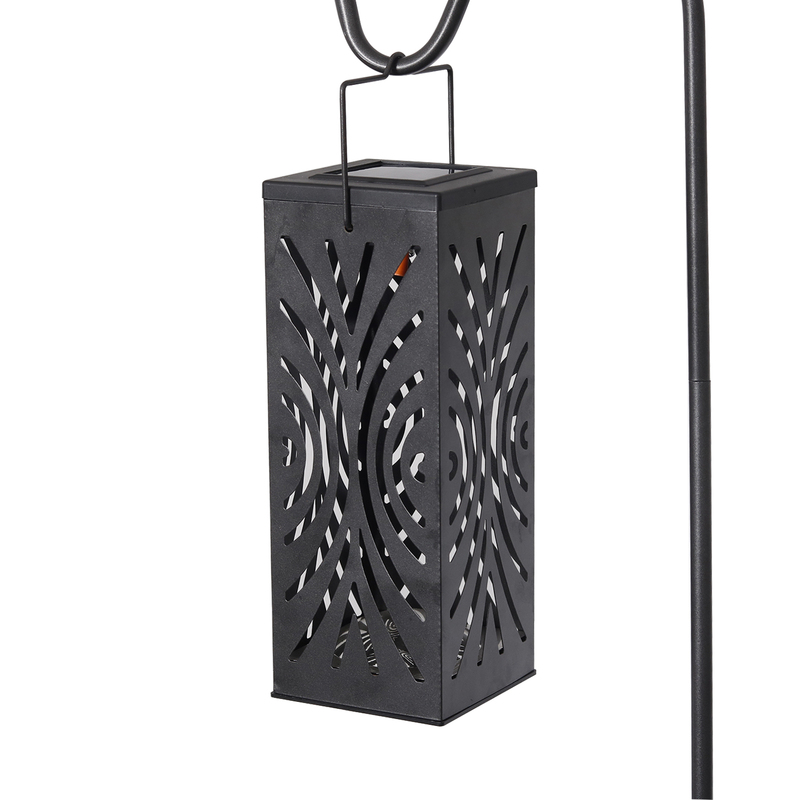 This charming solar powered lantern in a pearl gray finish, will make any outdoor space inviting. 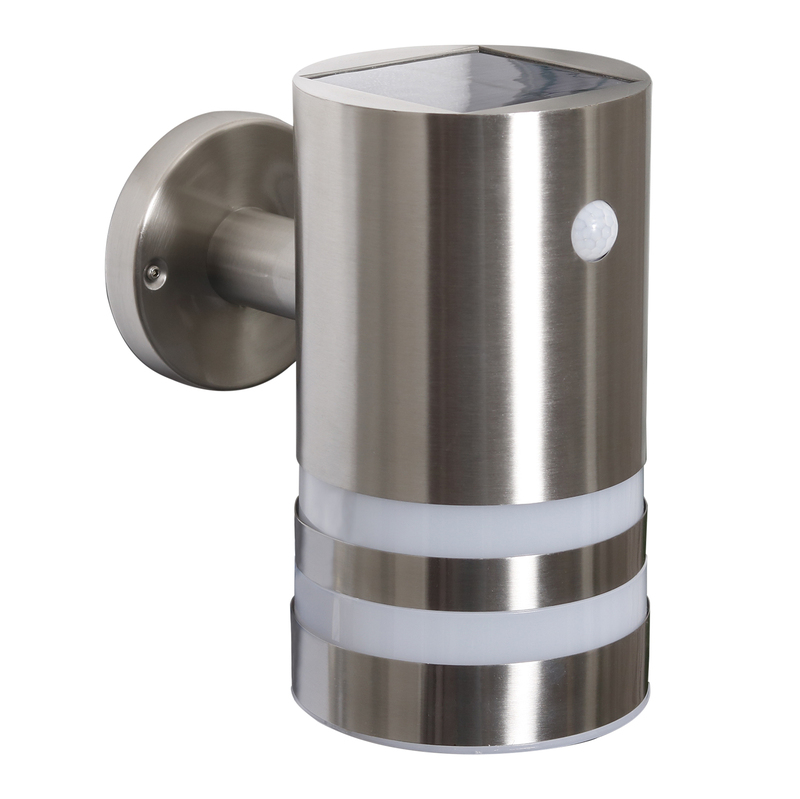 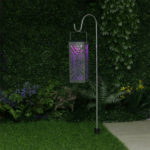 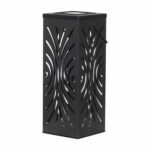 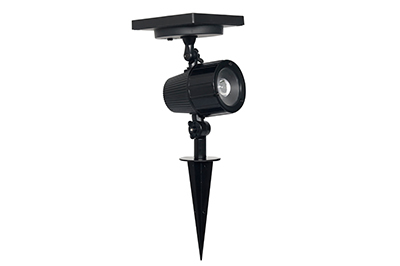 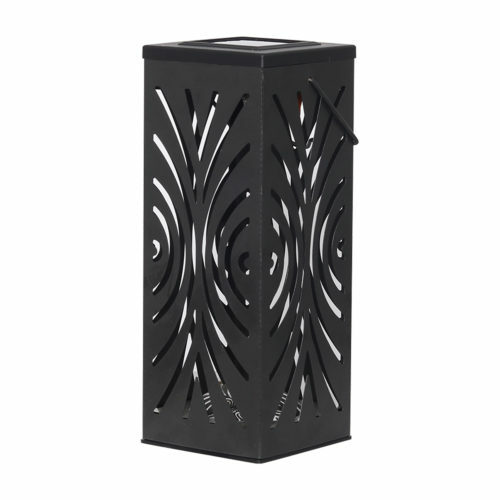 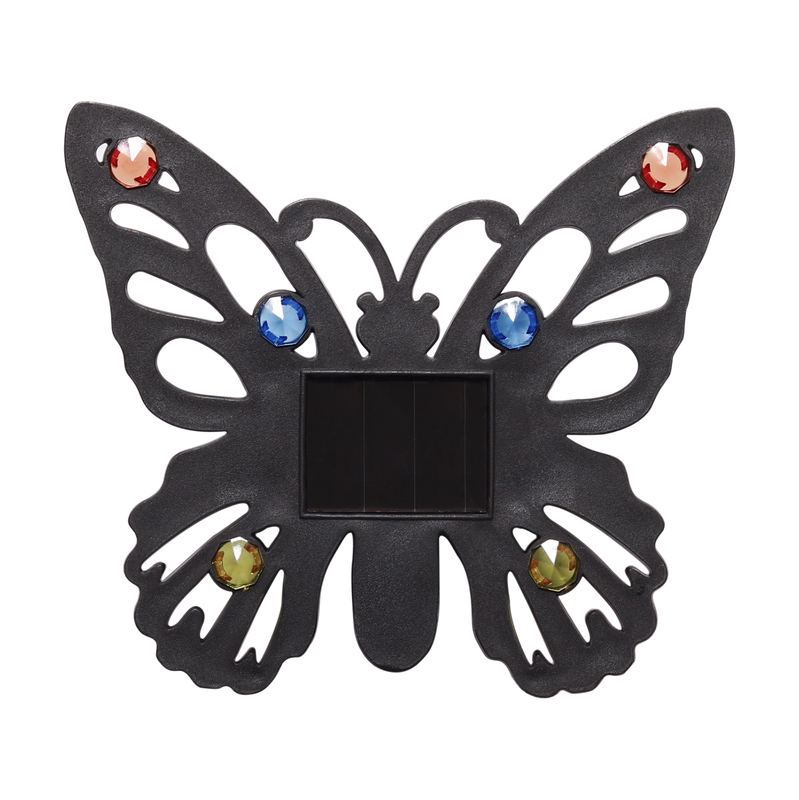 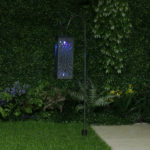 It features a natural white and color changing LED adding the perfect ambience to your patio or garden. 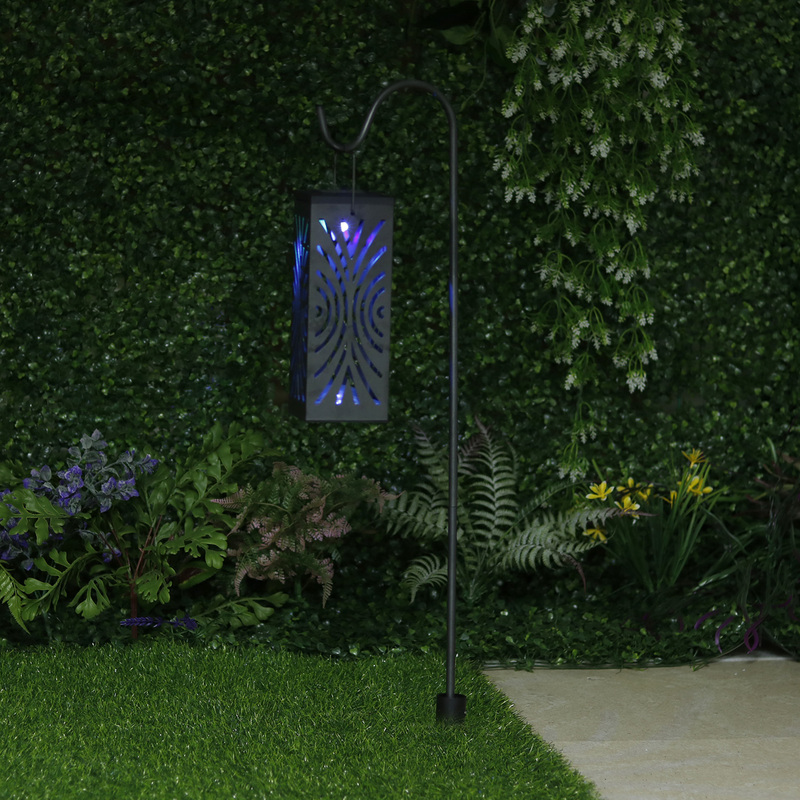 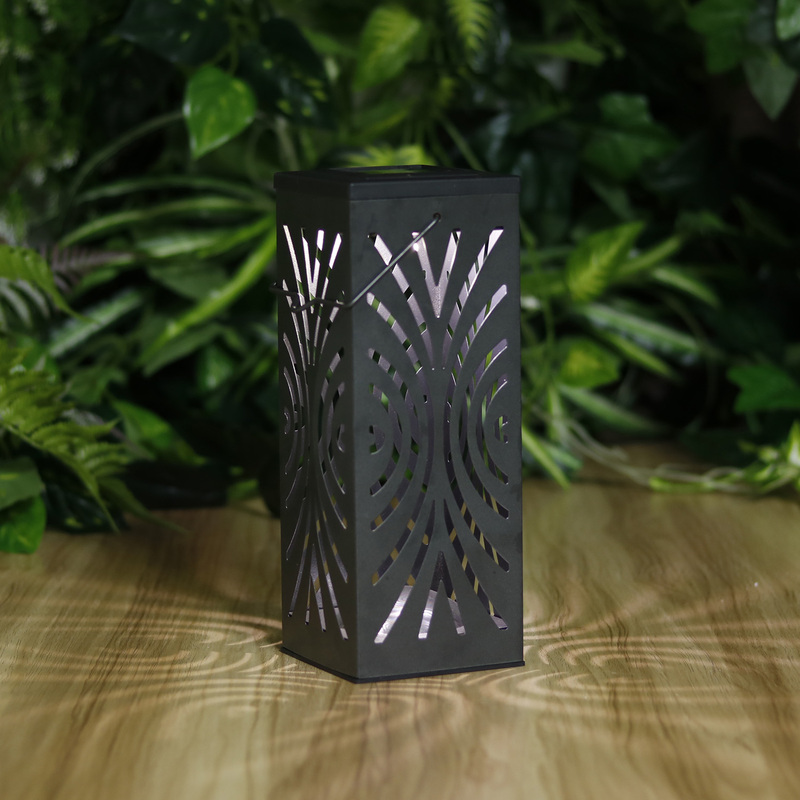 The lantern is charged by sunrays during the day and automatically illuminates at night so you can enjoy an enchanted evening in your backyard. 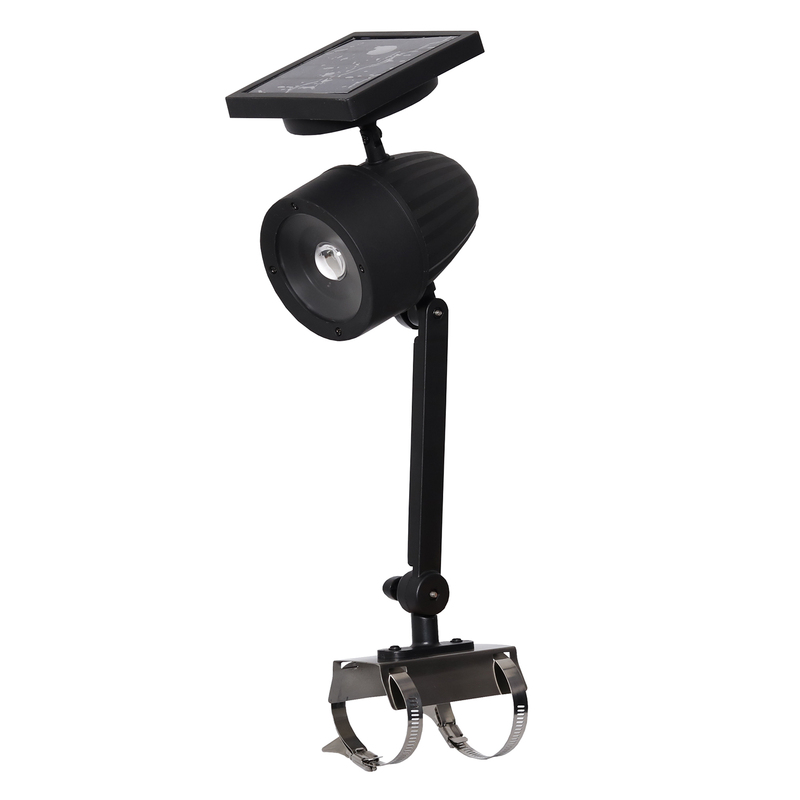 No wiring is required and rechargeable battery included.